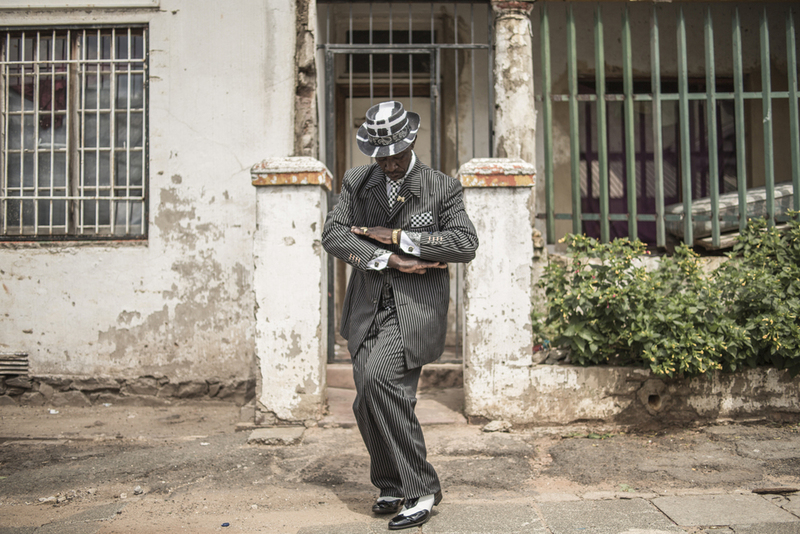 In South Africa, Swenkas are working-class Zulu men who participate in amateur competitions that are part fashion show and part choreography, the purpose of which is to display one's styleand sense of attitude.The practice, called "swenking", ultimately derives from the English word "swank". These well-dressed men are proud and considered to serve as an inspiration to others. Frequently, on Saturday nights they meet up to compete in a fashion show of sorts. The Swenkas are judged both on what they are wearing (typically, expensive designer suits with well-known European names on their labels) and their choreographed movements (their 'swank').There is an entrance fee to compete in these swank-offs and the winner of the night goes home with a portion of the money collected from the competitors.